Let's start with seeing the differences in those two big cats that have black spots on gray; the Clouded leopard and the Snow leopard. Again, the IKs* are short and easy...these two leopards will be a snap to identify! 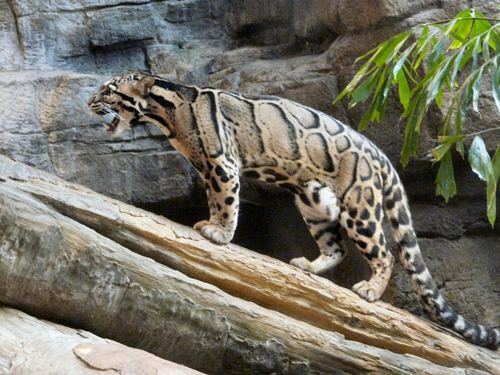 Clouded leopard IK: Black square blotches with gray centers...similar to a tortoise shell in pattern. Okay, so what cat is in the photo above? How about below? 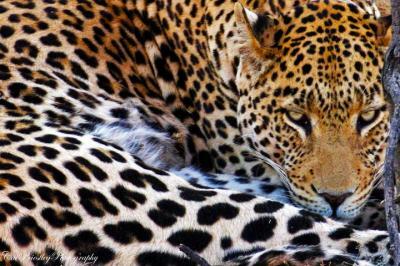 For more about big cat spots, check out my blog post here. Let's start with looking at the differences in those big cats that have black on tan spots; the cheetah, the leopard, and the jaguar. The IKs* are fairly simple, and if you can remember them, you will never have trouble telling these black & tans apart again! Cheetah IK: Believe it or not, the only big cat with simple round black spots is the cheetah. Leopard IK: This cat has a flower-like pattern of black spots called rosettes. They are the same size all over the body. There is a slightly different fur color inside each one. 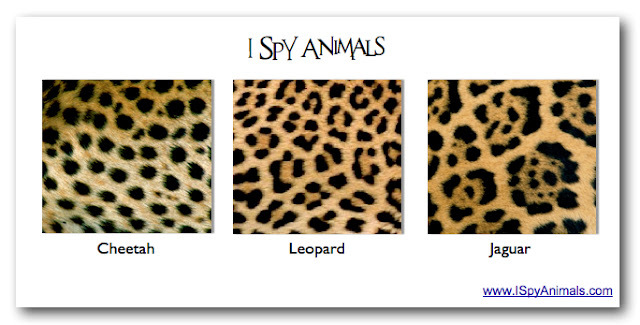 Yellow leopards and snow leopards have this pattern. Jaguar IK: Jaguars also have rosettes, but they are larger in the middle of the body, and have black dots inside. There is a slightly different fur color inside each one. Okay, so what cat is in the photo above? 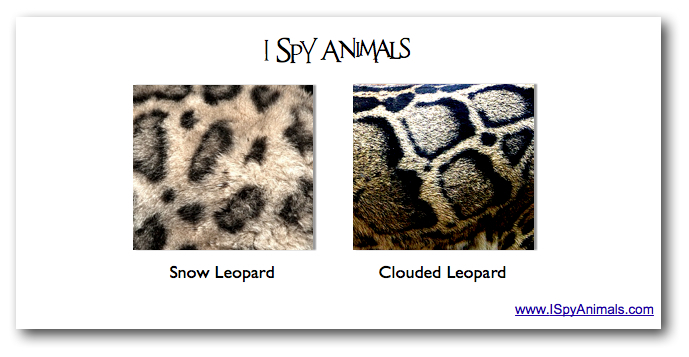 Look for my next post on the patterns of clouded leopard vs snow leopard. 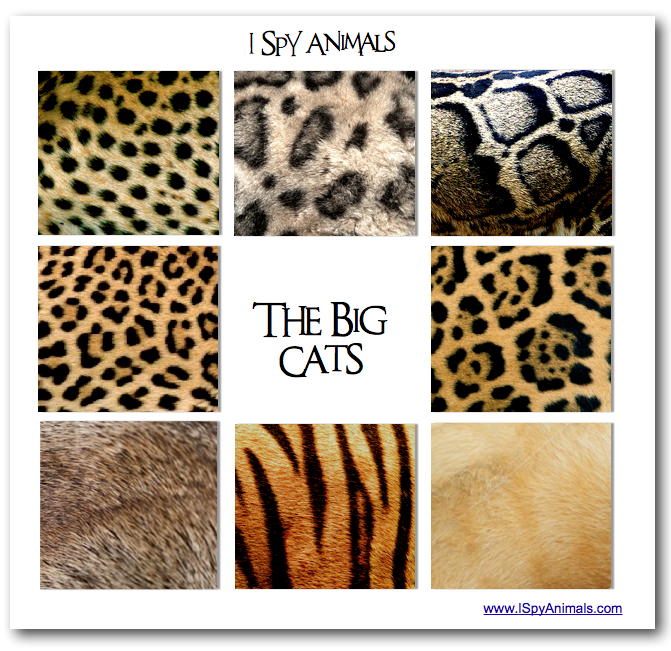 Interesting in learning more about big cats? 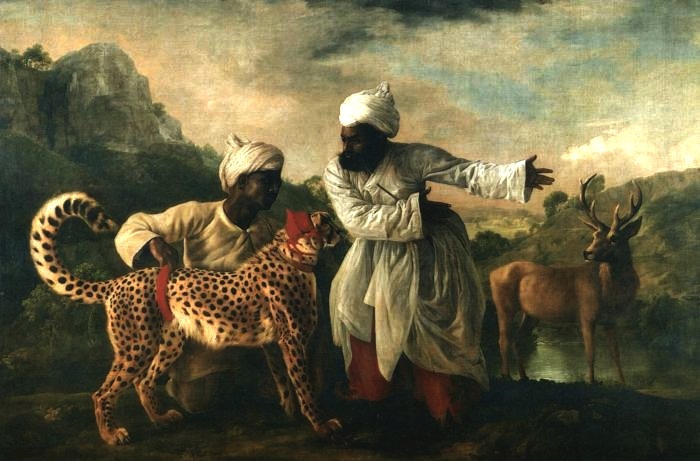 This is a National Geographic video, from 1939, of an Indian prince using cheetahs to hunt. These are the true big cats...because they can roar! 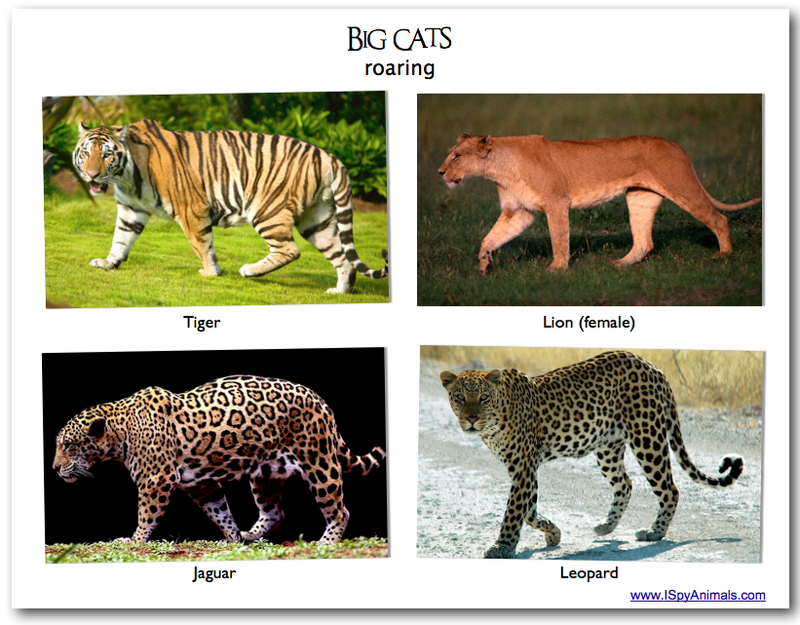 But there are four more felines traditionally called big cats who cannot roar, but are....well....big! So what do you have to do to be classified as a big cat? You have to be able to.... roar! 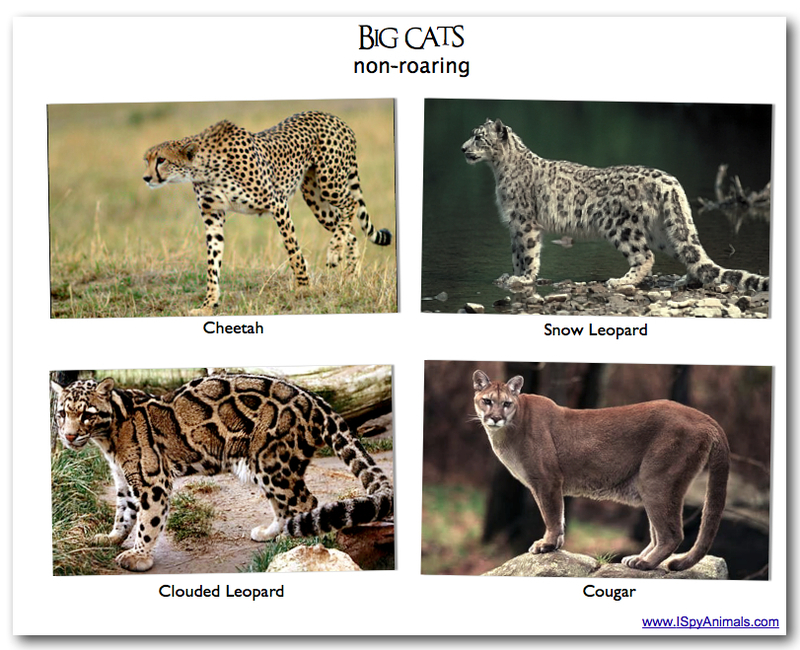 An expanded classification of big cats also includes four more felines that can't roar, but are big in size. In my next post, we will take a closer look at the patterns and give you some keys that will help you "spot" them...ha ha. The cheetah is my favorite big cat. It has its own little genus and species, its own little idiosyncrasies. It's a cat that has little talent for climbing, but can accelerate from 0 to 60 mph in 3 seconds...faster than an ultra-high-end sports car. 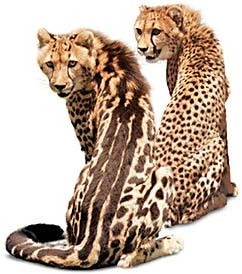 Some cheetahs also have a rare fur pattern mutation. Cheetahs with larger, blotchy, merged spots are known as "king cheetahs". 1st IK*: Just look for the distinctive black "tear marks" that run from its eyes, along the nose, and to the mouth. 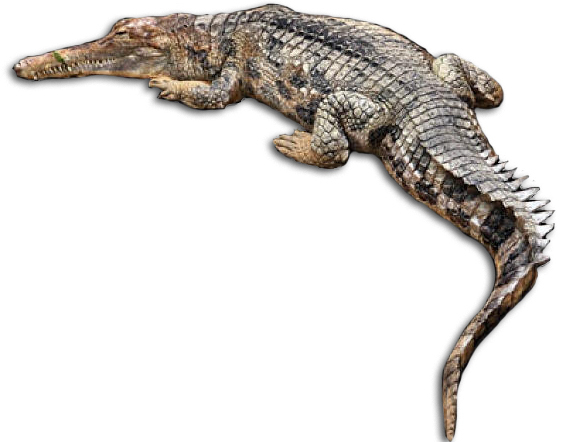 *Gharial photo by John White, courtesy of the Berkeley Digital Library Project. 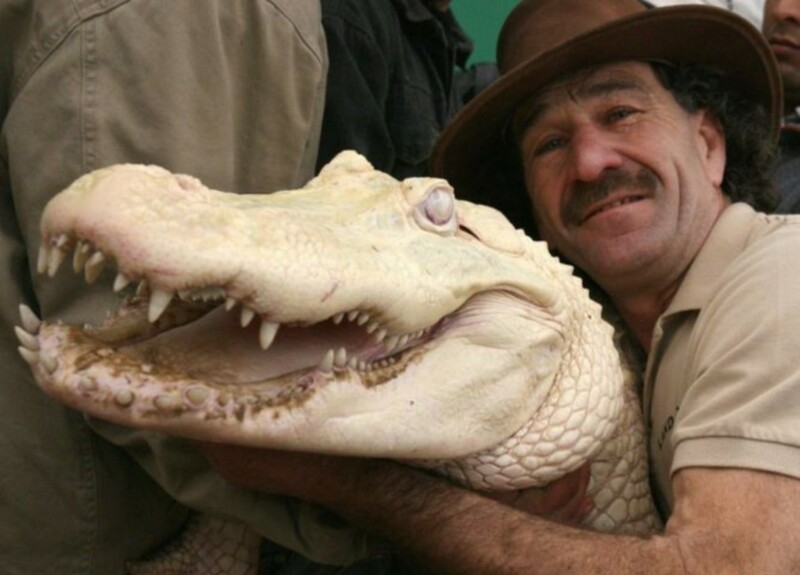 Alligators and crocodiles can be born albino. This means they are without pigment, or coloration. A true albino has pale skin and red eyes, like Whitie here, an albino alligator at the Serengeti Park in Hodenhagen, Germany. But alligators and crocodiles can also be born leucistic (loo-SIS-tik), which means they are born with a small portion of pigmentation. Their eyes are dark, and they have pale skin with some pigmented areas. 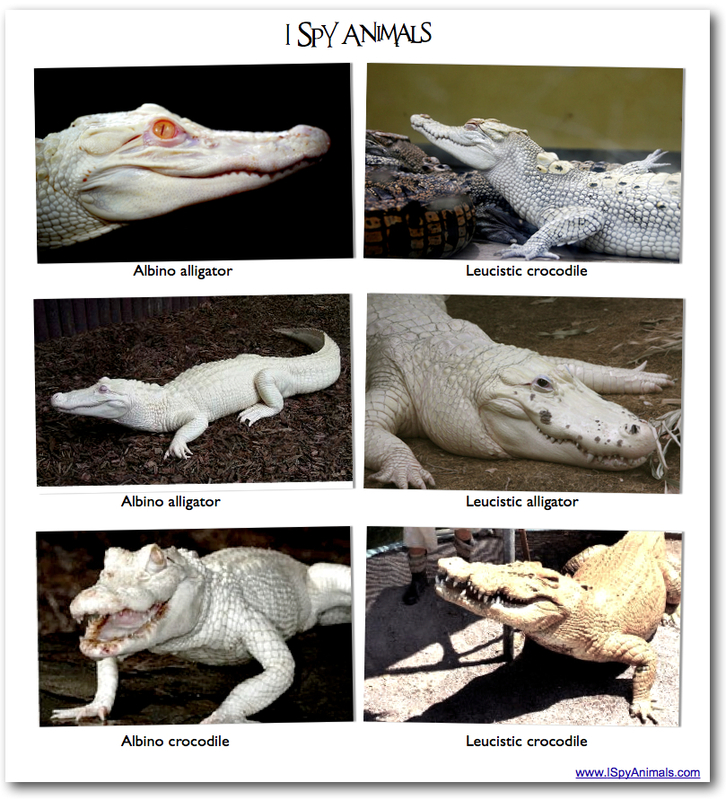 Take a look at the pictures below to see what albino and leucistic crocodilians look like. 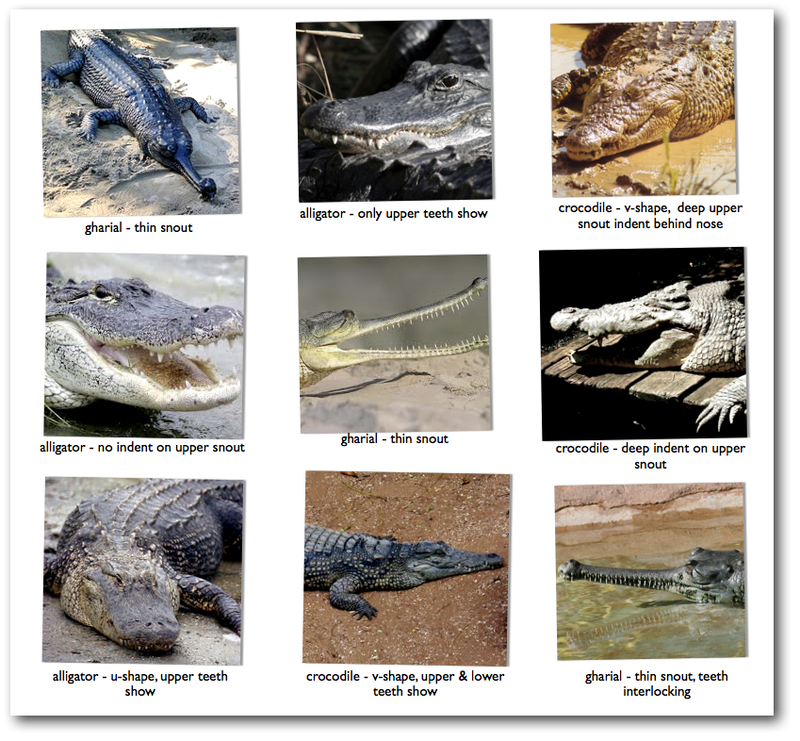 Here are the answers to the post on crocodiles. Check it out and see well you did!